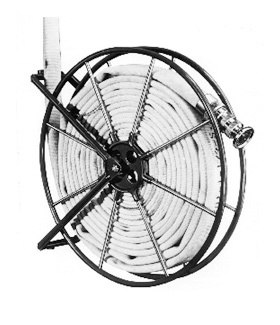 For the storage of 1 1/2" or 2 1/2" single-jacket hose. Reels furnished with wall brackets. Extra charge for pipe clamps. Steel red enamel finish.